Hey, friends! 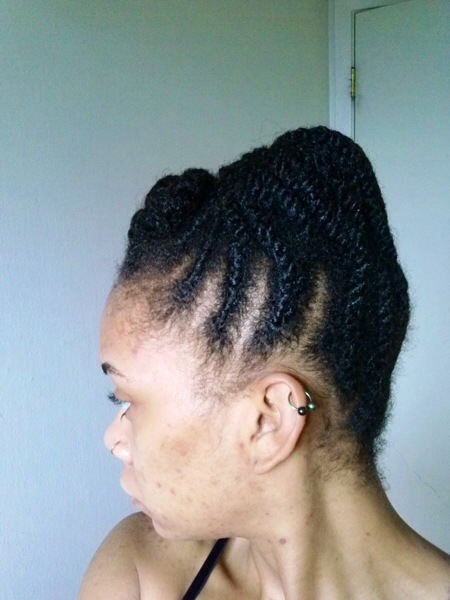 I feel like I’m pretty overdue for an update on the Protective Style Challenge I’m doing. If I haven’t mentioned it already, I became so frustrated with and determined to eliminate incomplete splits that I extended my challenge past my natural anniversary (October 6th) to January 11, 2014, bringing it to 6 months. 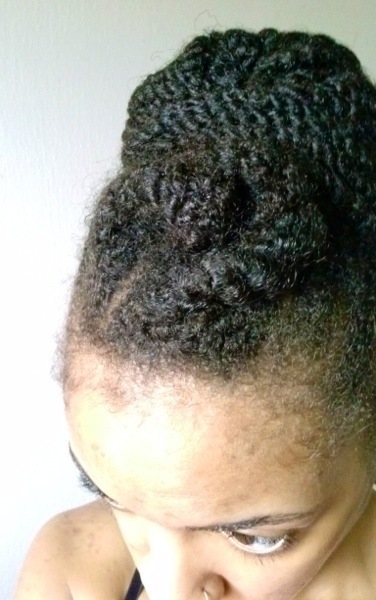 I’ve been keeping it pretty simple by doing variations and combinations of buns and mini twists; nothing major. While perusing YouTube, I stumbled across a video for a style very similar to this one, but I couldn’t get my hair to look quite like the girl in the video so I modified it to this bun-like situation. I like it! The back is a teeny bit ratchet, I must say, but trial and error. I took these pictures today so this style has been in for two weeks and it’s gotten a tad frizzy. I have got to remember to take pictures of first day hair. 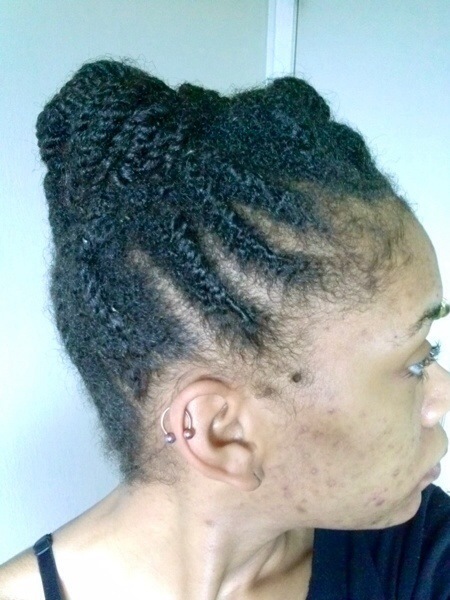 To achieve this style, I started on stretched, clean hair and applied the shea butter pomade i mixed previously blended with a little L.A. Looks Sport gel in the front and the everyday shea cream on the rest. Using my hair, i couldn’t quite get the “bun” big enough so Marley hair had to save the day once again. 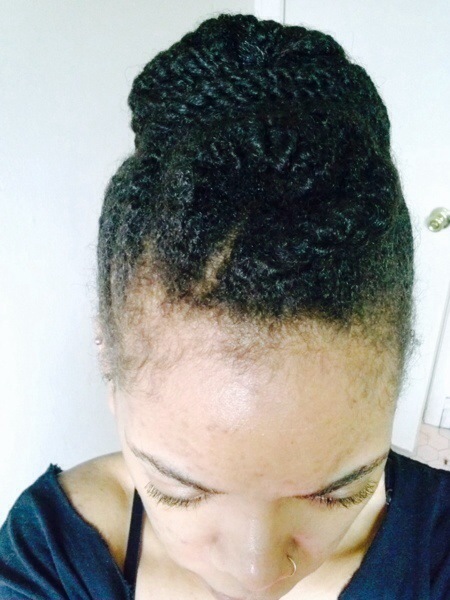 I wrapped a few strands of it into a small bun and used it to stuff mine. Sometimes you need a little oomph.